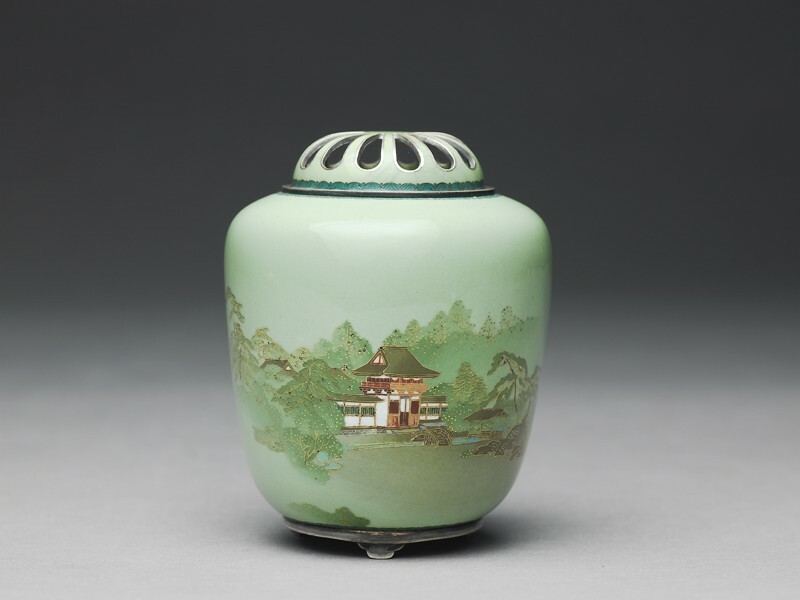 Baluster shaped incense burner with a lid pierced as a chrysanthemum. A building appears amid trees in a landscape in gold wire on a green ground. Signed; Kyōto Namikawa on a silver tablet. Turning to landscape as a subject, in the early 1900s, Yasuyuki was almost obliged to use shaded backgrounds, which he had usually avoided before. In this gold-wired incense burner, there is another new technique, the use of triangular cross-sections of wire set in the picture end on, to act as leaves or flower-petals.